All Larue homes currently listed for sale in Larue as of 04/24/2019 are shown below. You can change the search criteria at any time by pressing the 'Change Search' button below. If you have any questions or you would like more information about any Larue homes for sale or other Larue real estate, please contact us and one of our knowledgeable Larue REALTORS® would be pleased to assist you. 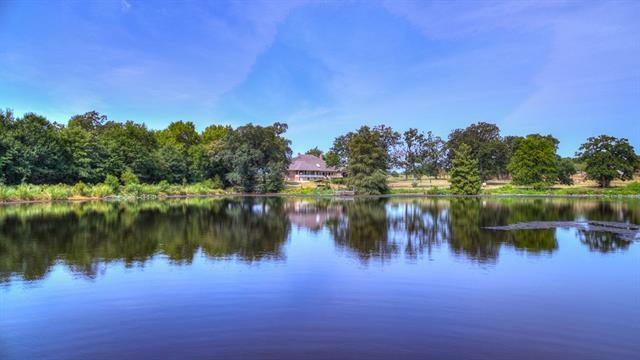 "Pristine Ranch with 354+ acres of rolling land exuding the best of East Texas. 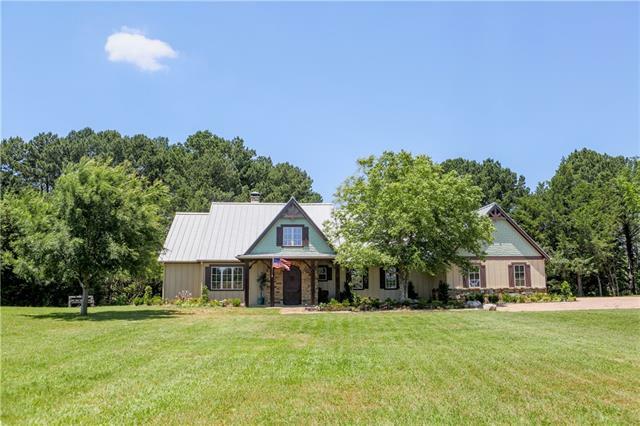 This 5bed-6bath-2.5car garage waterfront dwelling sits under a canopy of mature oaks on the crest of a subtle hill overlooking a scenic 18 acre stocked spring-fed lake. Property offers two additional dwellings, barn, holding pens and a deep well! 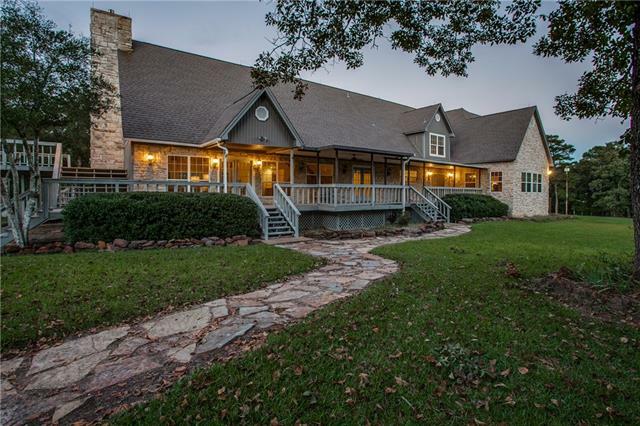 This exquisite ranch is ready for cattle, horses, and more with cross fencing, 5 ponds, and 215 acres of pasture. Property embraces the natural beauty of the area and combine"
"MILLION DOLLAR VIEW AT A BARGAIN PRICE! - Fabulous hilltop setting. Less than 2 hours from Dallas. 36 secluded acres covered in trees. Deer at your doorsteps. Breathtaking views. Walking trails. One-of-a-kind property. Would make a wonderful retreat or lodge. Ideal for entertaining. Texas-sized family room features a sky-high ceiling & a beautiful stone fireplace. Large front & back porches. See for miles from the elevated wood deck. Spacious master bedroom suite has 2 bathrooms, a large sitting"
"Extraordinary Custom Built Waterfront Two Story Home in Safari Waters Ranch! 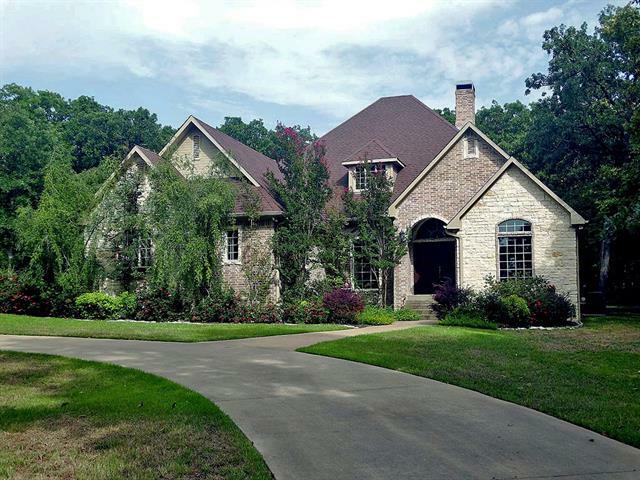 1.328 Acres, 4 bedrooms, 4 baths, 4 car garage, covered patio overlooking Trophy Lake and wrought iron fenced backyard. Tall ceilings, wood floors, Austin Stone gas log fireplace, dining room, breakfast room, large kitchen with granite counters, stainless steel appliances. 2nd Fireplace in the HUGE Master bedroom with an exquisite bath that offers oversized walk-in shower, separate tub and HUGE closet. 2nd floor has thr"
"Are you looking for a beautiful waterfront lake house surrounded by nature? This stunning home is situated on just over 3 wooded acres & sits on a point with long views across the entire lake. Immerse yourself in nature from the comfort of your covered patio. Enjoy the 180-degree water view that is to die for. The interior of this home is equally pleasing. Beautiful designer details, hand scraped hardwood floors, 2 brick wood-burning fireplaces, & upgraded fixtures. Built-ins, bonus room up, upg"
"Open concept brick-stone home with views of Safari Lake. Home features LARGE eat in kitchen with granite counter tops, custom cabinets, breakfast bar, and stainless steel appliances. LARGE living area with French doors leading to sun room. Home also features a Second living area. Master bathroom features separate jacuzzi tub-shower, his and her sinks, and built ins with plenty of storage. Tile and wood floors throughout. Three car garage. BRAND NEW ROOF AS OF 4-12-19. Live among the majestic tre"
"One of a kind lake front home. 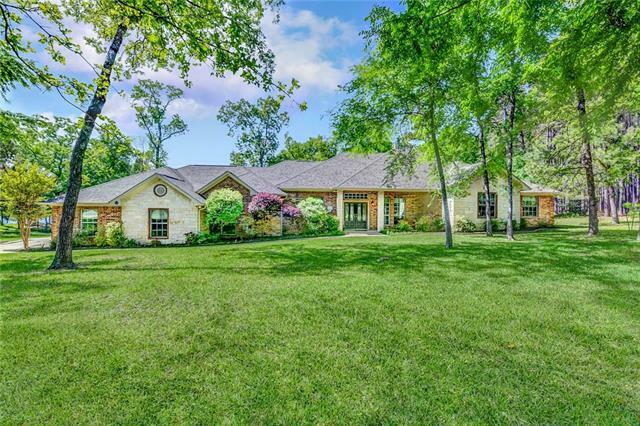 Located in pristine Caddo Creek Estates. This home offers more than you could imagine with 4 bedrooms, 4.5 baths, open floor plan great for entertaining. 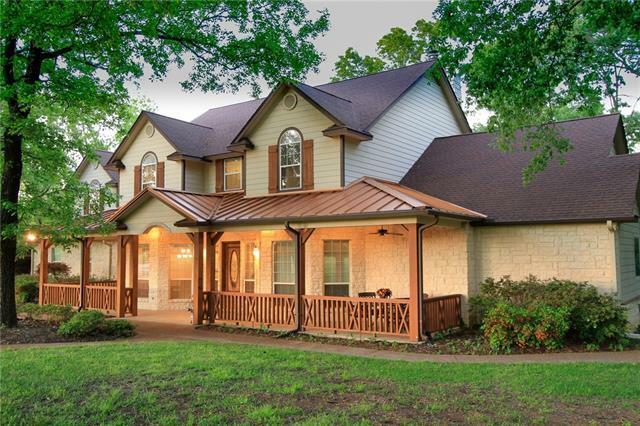 Sit on the covered back porch looking out over the lake while you enjoy the peaceful East Texas sunset with amenities including pool, clubhouse with game room, playground and so much more." "This immaculate upscale home has a perfect floor plan for entertaining guests or family. Amenities include a large kitchen with island & bar, granite, stainless appliances, breakfast, formal dining, living with vaulted ceiling, stone fireplace, den, hardwood floors, split bedrooms, walk-in closets, upstairs game room or theater, 3 car garage, sprinkler system, fire pit & much more. Located on 2 acres but seller has an additional 2 acre lot available next door if buyer prefers 4 acres. 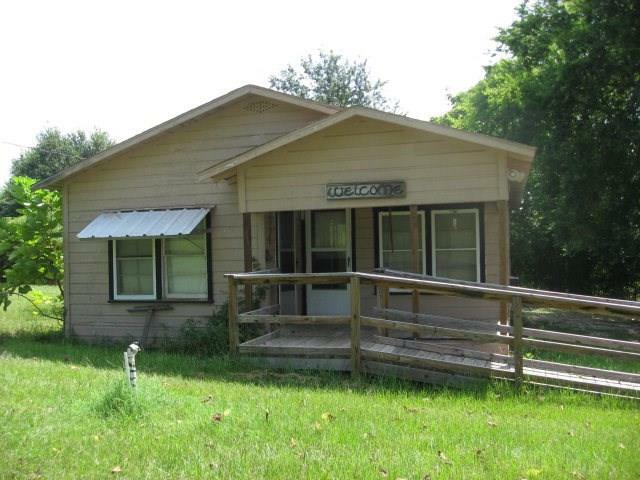 Located"
"This is a beautiful custom built 3 bedroom 2 bath house with a 2 car garage on 3+ acres with nice oak and pine trees. Nice open living room with vaulted ceiling, crown molding, and WBFP. Kitchen has nice custom hardwood cabinets, stainless steel appliances, granite countertops, and breakfast nook. Lovely master bath with separate shower & tub, two sinks, two walk in closets. 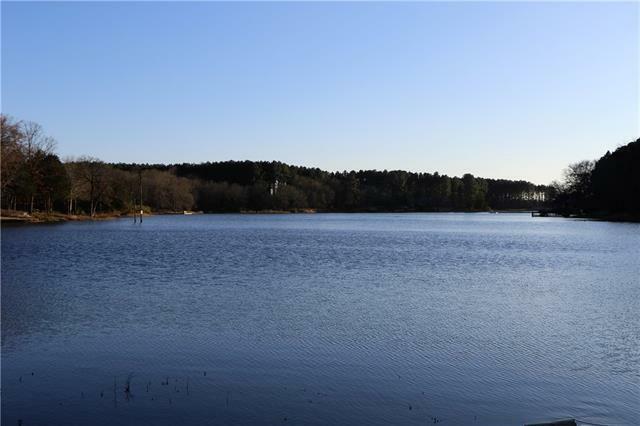 SWR has 3 quality spring-fed fishing lakes with trophy bass. Nature lovers dream with native and exotic wildlife for your"
"Excellent 3, 2.5 house located on 1.5 acres with open floor plan." "BEAUTIFUL ACREAGE WITH 'FIXER UPPER'. COME MAKE IT YOURS, MANY OPPORTUNITIES TO MAKE-OVER! 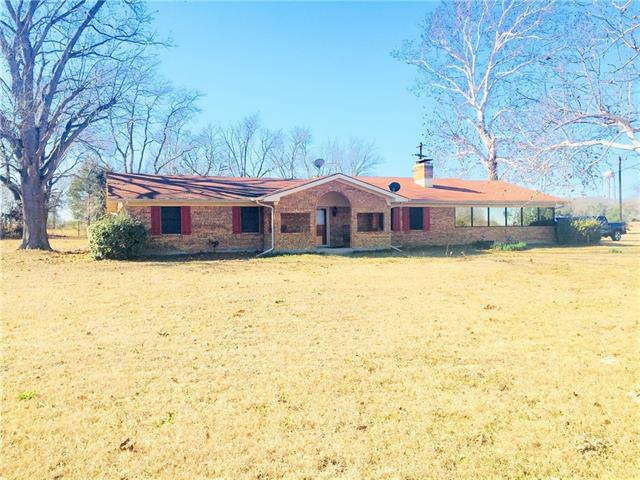 ON 6 ACRES, FRONT MAINTAINED, BACK WOODED AREAS AND NICE NEIGHBORS! OLD COMMUNITY HOME HAS GOOD BONES, NEEDS INTERIOR UPDATED, FLOORING, PAINT, FIXES ETC...HEIRS SELLING AS IS WITH NO WARRANTIES AND NO FIXES. WARRANTY DEED PROVIDED CLEAR; BUYER TO SURVEY. CUTE 2 BEDROOM, HARDWOOD FLOORS COVERED, ONE BIG LIVING AREA, DINING ROOM. KITCHEN NEEDS APPLIANCES, SHELVING-CABINETS, ALL FLOORING NEEDS UPDATING. BATH"